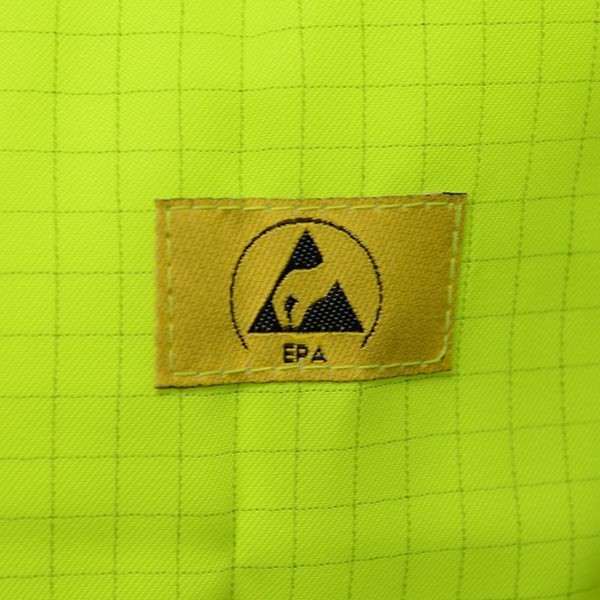 Our superior quality High Visibility ESD Waistcoat conforms to both Antistatic/ESD and Health and Safety regulations. It features adjustable hook and loop fastening for an improved fit and also has reflective stripes for additional visibility. 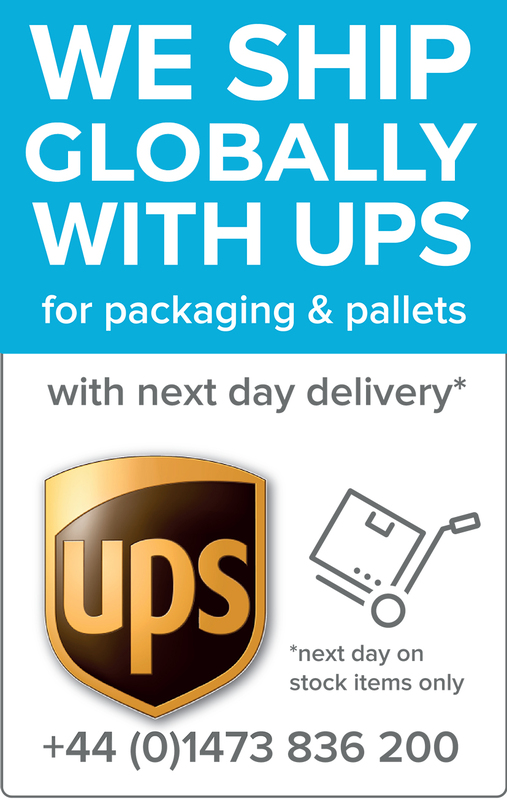 Call +44 (0)1473 836200 for more details. A high-quality antistatic high visibility ESD waistcoat with adjustable hook and loop fastening and reflective stripes. 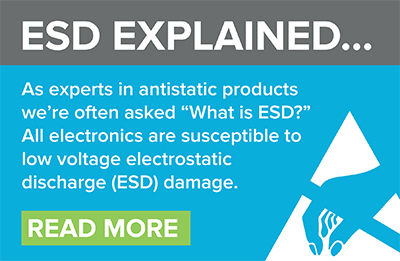 This ESD alternative ensures compliance to both ESD and health and safety regulations. Two reflective strips also allow better visibility from operators using forklifts and machinery. 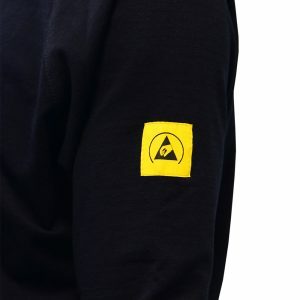 This long sleeved, static dissipative Unisex Sweatshirt features the ESD symbol on the arm and has ESD cuffs. 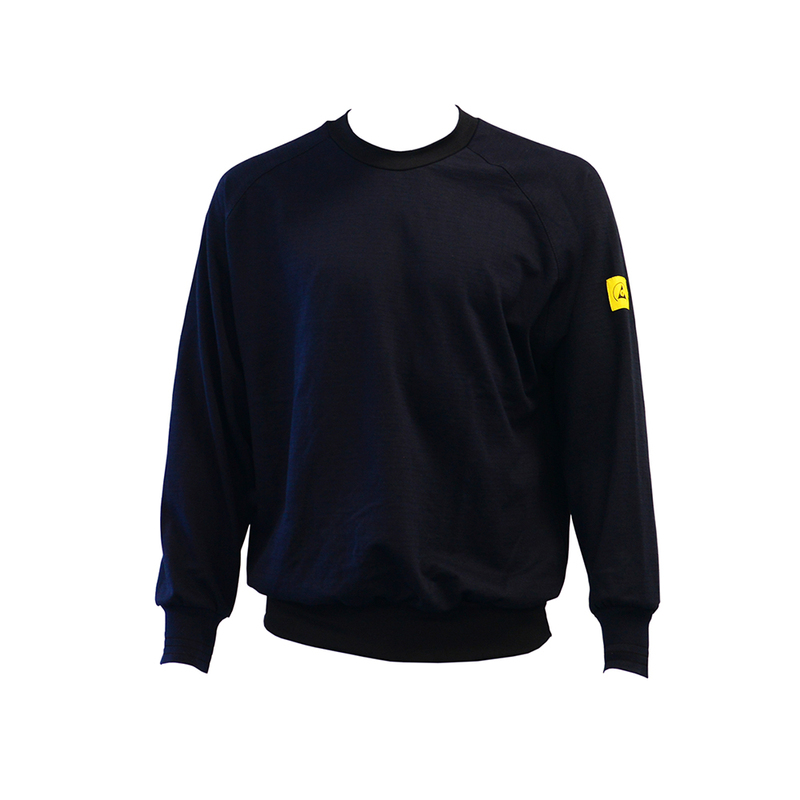 With round neck styling and in versatile Navy Blue as standard, this sweatshirt will keep operators comfortably warm within the EPA. 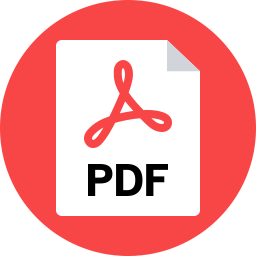 Available in 7 sizes, from Small to 4X-Large. 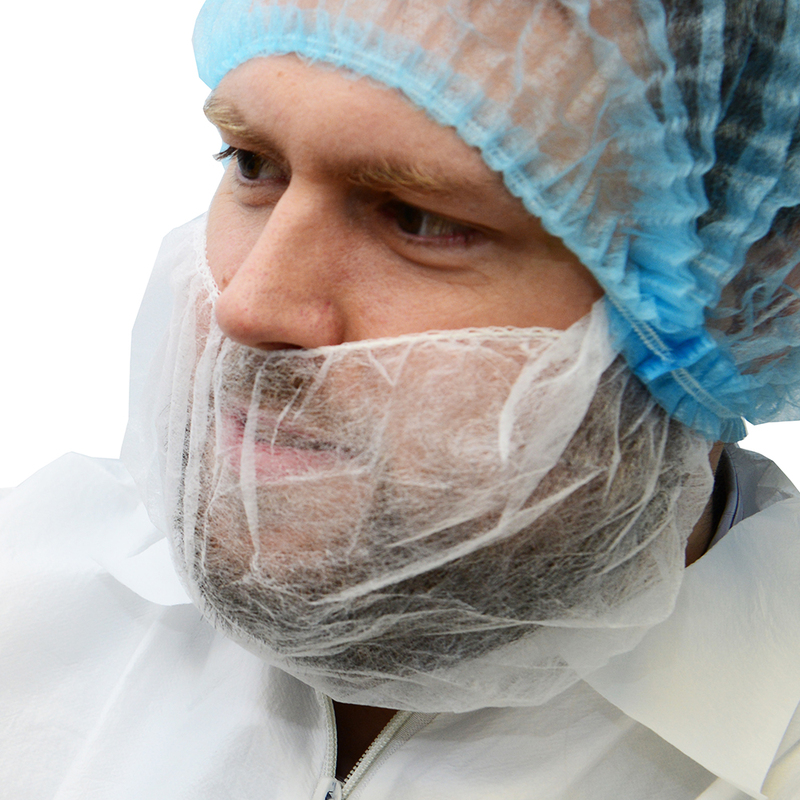 This Disposable Beard Snood offers protection against contamination from stray facial hair. Manufactured from non-woven polypropylene, it is lightweight and breathable, and its elasticated edges ensures a snug yet comfortable fit. Our Bouffant Style Pleated Mob Caps provide a comfortable solution to the issue of shedding head hair. The soft, lightweight and breathable caps, manufactured from non-woven polypropylene, have an elasticated fit to contain stray hairs and preserve your clean environment. One size fits all. 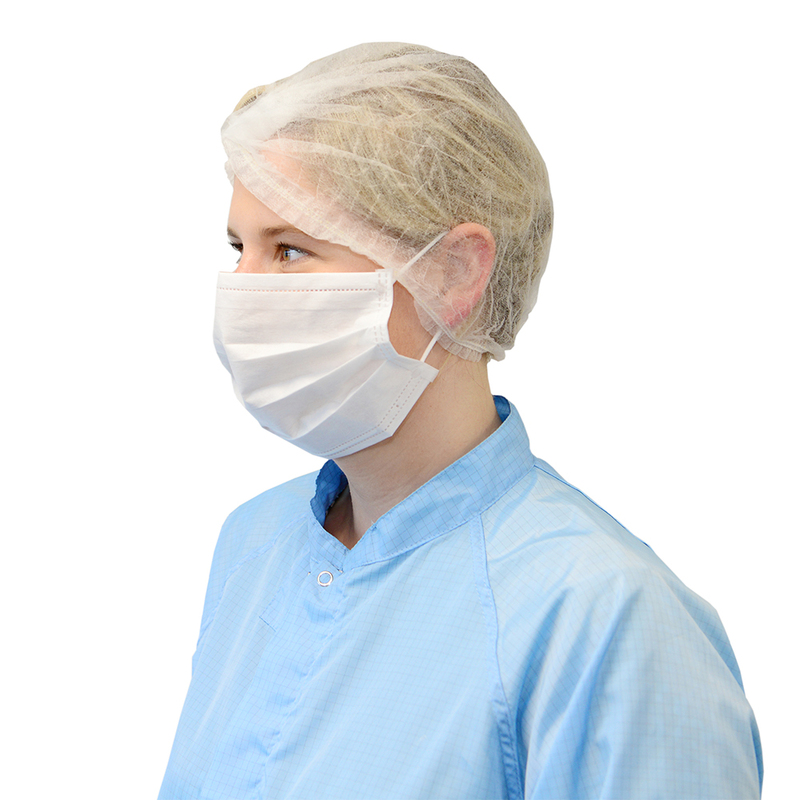 Available to order in quantities of 1,000, bundled in to packs of 100 for ease of stock control. Our Static Dissipative Knitted Carbon Gloves with polyurethane fingertips are ideal for handling electronic parts. The natural light grey carbon stripe and white coated fingertips are complemented by colour-coded cuffs to denote glove size. White for Small, Green for Medium, Grey for Large and Yellow for Extra Large. 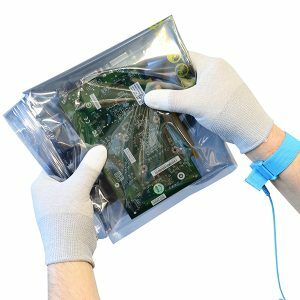 Our PU-Tipped Carbon Filament Gloves are ideal for use when handling or transporting devices and components that are susceptible to damage from electrostatic discharge. 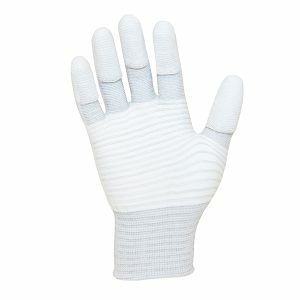 They are popular anti static gloves for pc building and assembly. 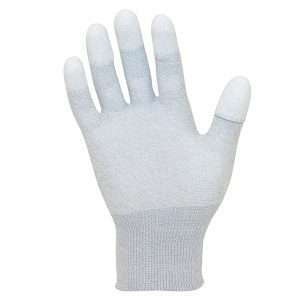 While each finger has a polyurethane coating to the tip sections, the back and palm of the glove remain uncoated to provide good ventilation which helps prevent perspiration.